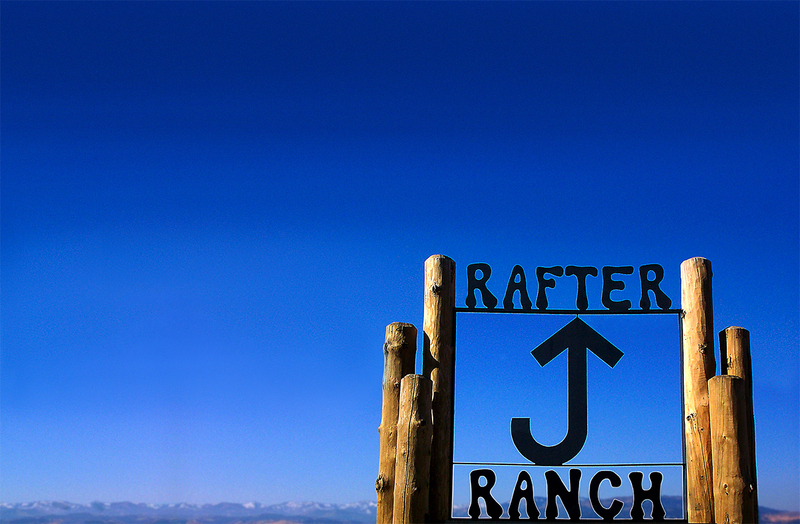 This page provides a summary of information about the Rafter J Ranch Homeowner’s Association (HOA) and links to other portions of the website primarily for new members. All owners and residents should be aware of the “do’s and don’ts” imposed by the Association’s governing documents: these are the Covenants, Conditions, and Restrictions (CC&Rs), the Bylaws, and the Rules. The Association member (property owner) will be held as the ultimate responsible party should a violation occur. Vehicle Parking: Vehicles must be parked in the designated parking area (paved driveway) for the lot. Parking is not permitted on the street, on common area, or in areas other than the paved driveway. RVs: Boats, trailers, snowmachines, or any other recreational or commercial vehicle, tractor, equipment, or machinery shall not be kept in any lot such that it is visible to neighbors. Pets: Not more than two generally recognized house or yard pets are allowed. Other animals such as horses or chickens are not allowed. All allowed pets shall be restrained or leashed at all times. Excessive barking is considered a nuisance. Several “mutt mitt” stations are on the property to encourage picking up your pet’s waste. Vehicle Speed: The speed limit throughout the subdivision is 25 MPH. Please adhere to it. The time saved in speeding is all but insignificant given the short distances in the subdivision. Exterior Design: Changes to buildings, fences, and decks, including paint/stain colors shall be pre-approved by the Design Committee. Changes made without approval may be required to be undone or redone without reimbursement by the Association. Please see Application Forms under the Design Review Committee. Trash: Trash must be packaged or contained sufficiently to prevent birds or dogs from scattering the trash before it is removed. The Association encourages everyone to recycle. Doing so reduces the trash volume considerably and is better for the environment. Ponds: No swimming, boating, pets, or ice skating is allowed on any pond. Fishing is permitted on a catch-and-release on the two ponds on either side of Big Trails Drive but those fishing must meet the state’s licensing requirements. The wildlife pond to the north of the Cedarwoods townhome area is off-limits to any human/pet activity. HOA Fees: The HOA does not routinely invoice for the fees. Instead, a summary of homeowners’ fees is mailed in June each year that provide notice of the fee amounts. Fees are due on the 1st of each month and late if received after the 15th of the month, without regard to weekends, holidays, or any other consideration. The summary of homeowners’ fees is also available here. Those in townhome units will also have townhome association fees that are unrelated to the Rafter J HOA fees and for which the Rafter J Office has no specific knowledge or responsibility. Postal Boxes: Postal boxes are available for use by any resident. Application forms and the Usage Policy are available here or at the Rafter J Office. Either way, the application form should be signed only at the Office. RV Storage Area: The RV Storage Area is available for use by any resident. Two lot sizes are available. Applicants may be placed on a waiting list as there are fewer storage sites than subdivision lots. Application forms and the Storage Policy are available here or at the Rafter J Office. Either way, the application form should be signed by the applicant at the Office. Board and Annual Meeting Minutes: Minutes of meetings are available via this website. Please contact the Office if you desire to have the minutes sent to you. They may be sent via e-mail (preferred) or by normal US Postal Service. In addition, you can choose to have notices of meetings sent to you via e-mail or normal US Postal Service. Notices of meetings and other bulletin-type information are available from the site’s Home page. ISD Director Election Voting: Please see the information on the ISD Director Elections page.